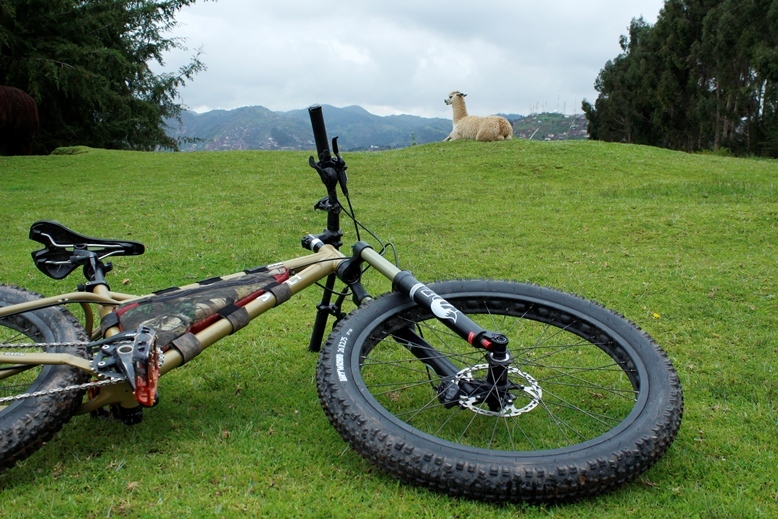 The best Mountain Biking Tours and Cycling Trips around Cusco and fun alternatives to the Inca Jungle Trail! Perfect for beginner/intermediate riders that want to see the less traveled country side of Peru. You’ll take off South in a private shuttle from Cusco through breathtaking mountain views. Muti-day, Multi-Adventure trips to Machu Picchu. Ditch the tour bus, be a participant and experience Peru’s countryside with all of your senses. We’ll show you the most beautiful and dynamic single track trails in the world. For more than 18 years Gravity Assisted Mountain Biking has pioneered safety and fun in mountain biking in Bolivia. In 2009, we have brought this to Cusco, Peru. Our commitment to not taking shortcuts may not always be obvious to everyone, but in the background we are constantly checking, training, investing and re-investing. The most important thing is that Gravity was started by bikers, is run by bikers and employs bikers. This means that we have an unparalleled passion for, and knowledge of, all things cycling. - Our principal focus is on safety. We run professional and SAFE trips. - You will ride a professionally maintained high-end full-suspension mountain bike valued at over US$2000. - You will be kitted out in the following full safety equipment: a mountain biking helmet, mountain biking gloves, knee pads and elbow pads. - A guide who speaks fluent English, is an expert rider and is passionate about what he or she is doing. - Quality food suitable for omnivores and vegetarians (not applicable for The Cure). - We will bend over backwards to ensure that you have a FUN and ENJOYABLE day. It was a great experience with gravity Peru,they know a lot about mountain biking and can get you the best bikes with safety gear, we went to some real challenging trails and had a lot of fun, at the end we went all the way downhill to Cusco centre, Urban style was perfect. The guide was real cool and knew the trails real well. Gravity Peru, Thank you very much and good luck. 3 of us had an awesome 2 days mountain biking in the cusco area with gravity peru. Amazing trails and guides. If you’re coming to peru then this is a must. You’ll be well looked after by bill and nic (and maggie). This is an amazing experience, that is a must if you are into mountain biking. The bikes are high quality, well taken care of, and can handle pretty much any situation you put them in. The trails are rugged, steep, and extremely rewarding. Bill is an excellent guide and knows where to take you. They will customize the ride to your level and so it is important to be honest about your skill level in order to get the most out of your ride. I chose to do this instead of Mach Picchu with the limited time I had, and am glad I made that decision.